Biologists have long known that bacteria grow faster and bigger when the quality of nutrients becomes better, a principle in microbial physiology known as the “growth law,” which describes the relationship between the average cell size of bacteria and how fast they grow. But the growth law has a major hole: It is unable to explain why bacteria divide when they reach a certain critical size, no matter how much or how little nutrients are available. By applying mathematical models to a large number of experiments in which bacterial growth is inhibited, however, a team of physicists, biologists and bioengineers from UC San Diego discovered the reason for this and in the process developed a “general growth law” that explains the origin of these idiosyncrasies of bacterial physiology. The researchers detailed their achievements in a paper published in this week’s issue of the journal Current Biology. 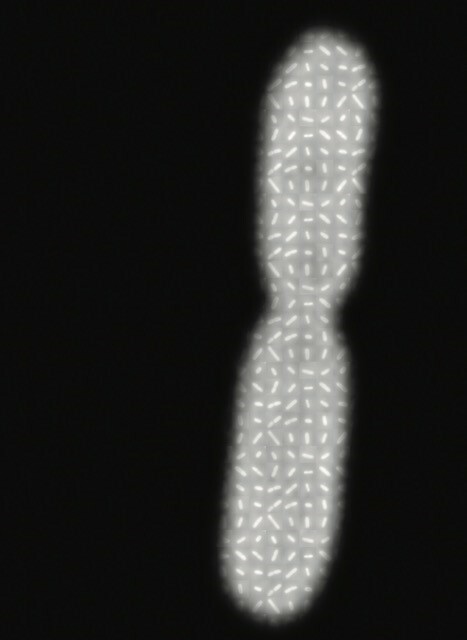 Jun and his colleagues discovered that when cells began replicating their genetic material in preparation for cell division, cell size remained remarkably constant despite the many genetic processes and changes in the cell such as protein and DNA synthesis, cell wall synthesis and cell shape. Jun said the development of high-throughput cell sampling techniques and genetic methods such as “CRISPR interference” made it possible for his team to extract large amounts of physiological data from 10 million bacterial cells in their growth inhibition experiments. Jun said this process was similar to the manner in which the Danish astronomer Tycho Brahe, by collecting better data of planetary orbits, was able to convince the German astronomer Johannes Kepler four centuries ago that planetary orbits, whose origin is gravity, were ellipses and not circles. Other members of the UC San Diego team involved in the study were physicists Fangwei Si, Michael Erickstad and Yonggun Jun; molecular biologists Dongyang Li, Sarah E. Cox and Xintian Li; bioengineer John T. Sauls; and undergraduate students Cindy Sou (biology), Omid Azizi (bioengineering) and Amy Schwartz (physics). The research project was supported by the Paul G. Allen Foundation, Pew Charitable Trusts, National Science Foundation (CAREER MCB-1253843) and National Institutes of Health (RO1 GM11865-01).